RMA Track Ran State-Best Times in the Leopard Classic. Riverside Military Academy’s Eagle Track has had a phenomenal season so far, and are not even close to being finished. 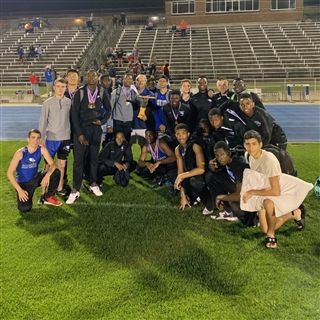 On April 12, 2019, RMA Track traveled to Homer, Georgia to compete in the Leopard Classic at Banks County High School. Cadet Senior Issac Teasley stood out by not only winning the 200-meter run and the 400-meter run, but he also participated in the 400-meter and the 1600-meter relays, bringing home many medals to RMA. Cadet Orlando Stevens set the new Class A state-best time of 39.4 seconds in the 300-intermediate hurdles, while also winning the 110-high hurdles with a time of 15.04 seconds. A new best time was set in the 1600-relay of 3:27, solidifying RMA Track’s reigning state champion legacy. Cadet Senior Wookdong Kim won the discus with a 153’10’’ throw. Cadet Shad Dabney won the 100 with 11:13.